Introduction of Atoms or what is an Atom? 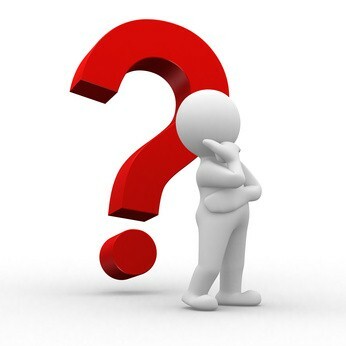 Are particle and molecule the same thing? How are atoms and molecules different? How atoms and molecules are same? The building blocks of any matter are basically the Atoms and these atoms combine to form a Molecule. An Atom is the smallest form of ordinary matter that has all the properties of an element and they are very small and sizes around 100 Pico meters. Every atom is made up of nucleus and one or more electrons that are closely bound to the nucleus, the denser central part of an atom is mainly known as Nucleus that is made up of two constituents, known as Proton and Neutron. Nucleus consist one or more protons and same number of neutrons, and both protons and neutrons combine are known as nucleons. The mass of nucleus plays a vital role in finding out atom’s mass because nucleus mass is more than 99.94% in atom’s mass. Proton contains positive charge, electrons contain negative charge and neutrons have no charge. To determine the identity of an atom the main constituents which is responsible is proton, as number of protons in an atom is the atomic number which is mainly the identity of an atom. 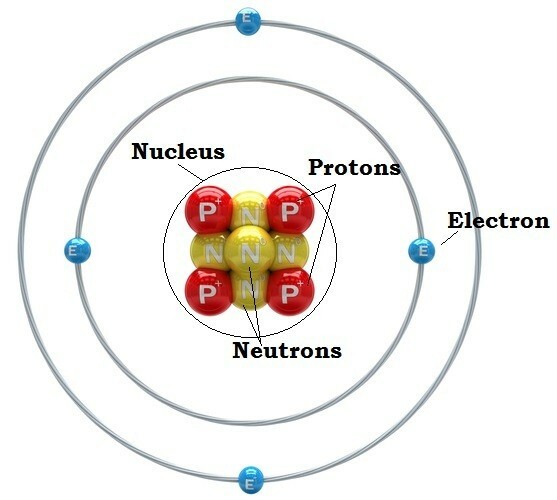 The atom belongs to which chemical element, that is defined only through number of protons present in the nucleus. For example, all copper atoms contain 29 protons. The isotope of the element is defined through number of neutrons and the magnetic properties of an atom are mainly influenced by the number of electrons in the atom. The unbalanced charges (either positive or negative) that are present in some atom are known as ions. Ions are also divided into two categories: positive ions and negative ions. Negative ions - ions those are slightly larger than original atom due to gain of electrons. In an atom, electrons move around the nucleus. The movement of the electrons takes place in very clearly defined regions in an atom. Electrons are being arranged in orbits the orbits in which these electrons revolve are sometimes referred to as shells. Only certain number of electrons can be hold in each shell or orbit. 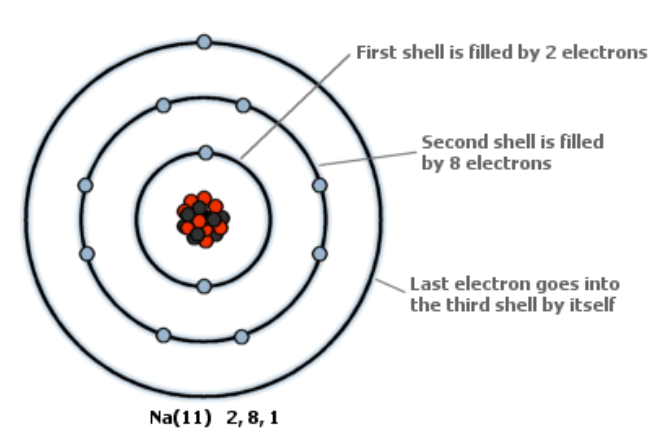 The first shell or orbit can hold only two electrons in it; second shell or orbit is full when it has eight electrons in it. Let’s see how to draw the electronic structure of an element, if we know the elements we know its number of electrons so we have to fill these number of electrons in shells or orbit according to the tendency of the orbit for holding the electrons. When atoms one or more atom attaches by bonds i.e. chemical bonds to form a compound, known as molecule. Few atoms exist independently so only few atoms combine to form a molecule. For Example, single helium atom can exist independently so it is atom as well as molecule. Single atom molecule are known as monatomic molecule and atoms which cannot exists independently and contains two or more atoms are known as Diatomic molecules. 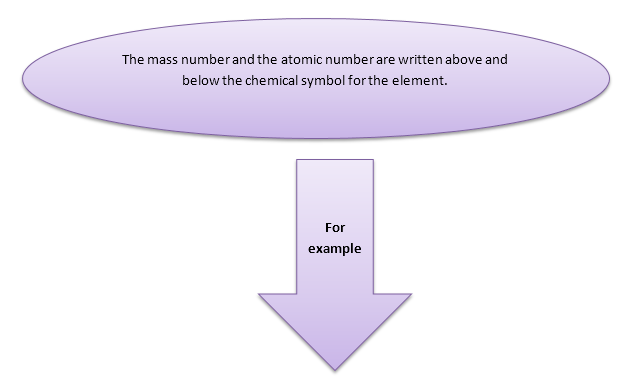 Compounds are the different elements which contains two or more atoms. The two or more elements that are chemical bonded together to form a substance, called Compound. For Example: Molecules that are not compound – oxygen (O2), helium (He). As water contains two atoms of hydrogen bonded with one atom of oxygen. A molecule is formed when different elements of atoms join together. Joining together of this this elements are basically known as bonding. When outer shell electrons of bonding atom re-arrange themselves, then bond is form. In this bonding, ions are involved and are formed between metals and non-metals. 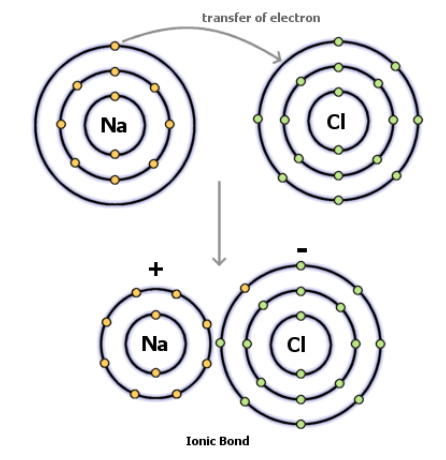 Bond between atom of sodium and atom of chlorine is an ionic bond. As we can see above, the outer electron of sodium loses to chlorine because of this sodium becomes positive and chlorine becomes negative. Now after this rearrangement of electron sodium ion has eight electrons in the outer shell and chlorine also has same eight electrons in the outer most shell, this makes them very stable, resulting in formation of NaCl. This ionic bonding describes the very common substance i.e. salt (NaCl). Covalent bond is formed from sharing of electrons when non-metals react with other non-metals. Covalently bonding compounds mainly forms molecules. When electrons are shared between the atoms then covalent bond occurs. As in this type of bonding one fact is involved that all atoms that are involved need to gain electrons. This type of covalent bonding occurs between non-metals due to gaining of electrons. As atoms have to gain electrons so the best way to do this by sharing it with each other as shown in the hydrogen atom right side. More examples for common substances in which covalent bonding occur include water and methane. In general terms, we use the term particle but particle is an object which has mass and volume, and it has some physical properties. Particle has random movement and represented with a dot. An object can be called a particle but depends on the size. For Example: lots of molecules are dissolved in a solution, and particle is said to be any one molecule. Tiny particles combine to make matter. Strong forcing are holding these particles together. Particles present in matter are in motion. The speed of the particle directly proportional to temperature. For example, if the temperature rises the movement of particle will also be faster. There are unique particles in a substance, but differs from the other substance. Molecule is also a particle only. Two or more same elements combine through chemical bonding makes a molecule. Particles have many meanings. It can be molecules, atoms, ions, etc. In the above article, we have read all about the atoms and molecules but did we know about the differences between the atoms and molecules. So, let’s find some differences between them. A smallest particle in an element that has similar properties to element is known as atom. Atom cannot breakdown. The basic building blocks that are not visible either through naked eye or through magnifying microscope is known as atoms. It contains nucleus which includes proton, neutron and electrons. It cannot further be divided. For example, if we take gold we cannot break the atoms of gold elements and each of them has properties of gold. Two or more atoms combine to form molecule. Unlike atoms, it can be sub-divided into atoms. Molecules can further divide to give atoms. Through a highly magnifying microscope and other scientific devices we can see the molecule, but molecule also, we cannot see through naked eyes. As you have read about the differences between atoms and molecules but are there any similarities between them? After reading all above you know that atoms combine to form a molecule, so atom is a part of a molecule and atoms are made up of three constituents i.e. protons, neutrons and electrons. Atoms make up elements whereas molecules make up compounds. Atoms are the part of molecules and molecules are made up of atoms.